I wanted to show you how I displayed my adorable Pedestal Shrines from last week. They look fantastic added to my fireplace mantel! I can't wait to make more! You can find the tutorial here. 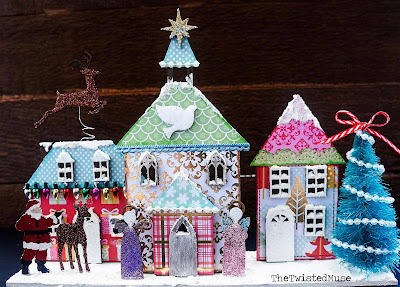 A gorgeous Christmas Town by Chrissy Colon, full of candy colored goodness and holiday cheer! 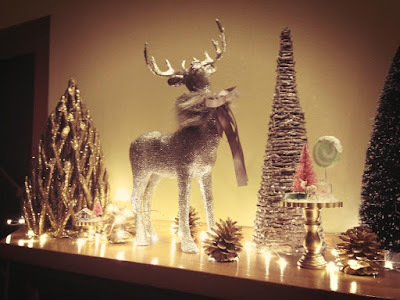 We especially love how Chrissy attached her glittery deer, and check out her Santa. So many amazing details Chrissy! 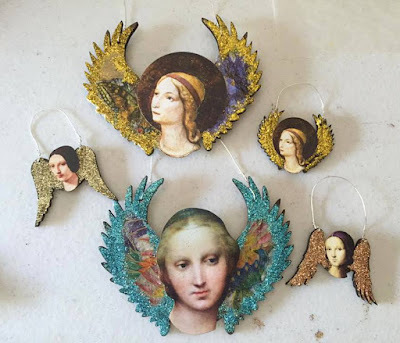 A stunning array of faeries and angels by Mary Jane Chadbourne! Each one definitely has a unique personality. 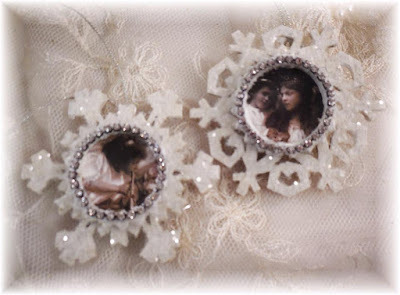 Lovely detail and gorgeous execution Mary Jane! We especially love those beaded ornament hangers. A gorgeous Santa Bell Ringer by Design Team Member Lynn Stevens! 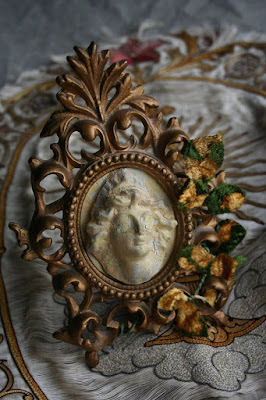 He is absolutely full of vintage beauty. We adore the nostalgic colors, and of course all of the glitter. He's perfect Lynn! Happy Weekend everyone! 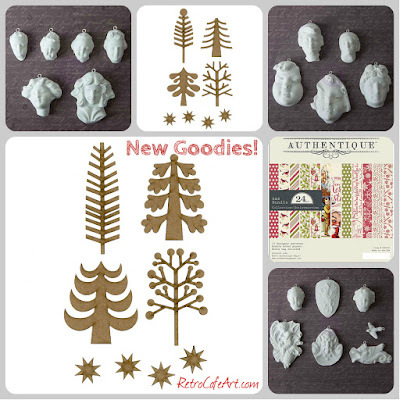 I'm really excited about this week's goodies! 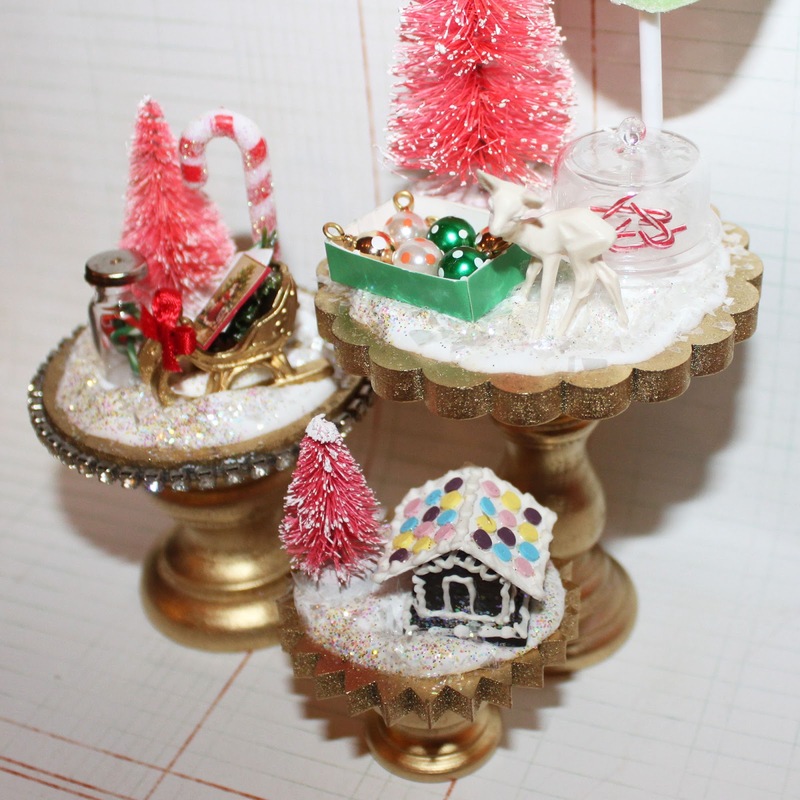 When I saw all of the adorable new sugary sweet miniatures in the shop, I had to find a way to display them! So our brand new Pedestal Shrine Stands were born! They come in three fantastic styles, and as for arting them up, well, the sky is the limit! 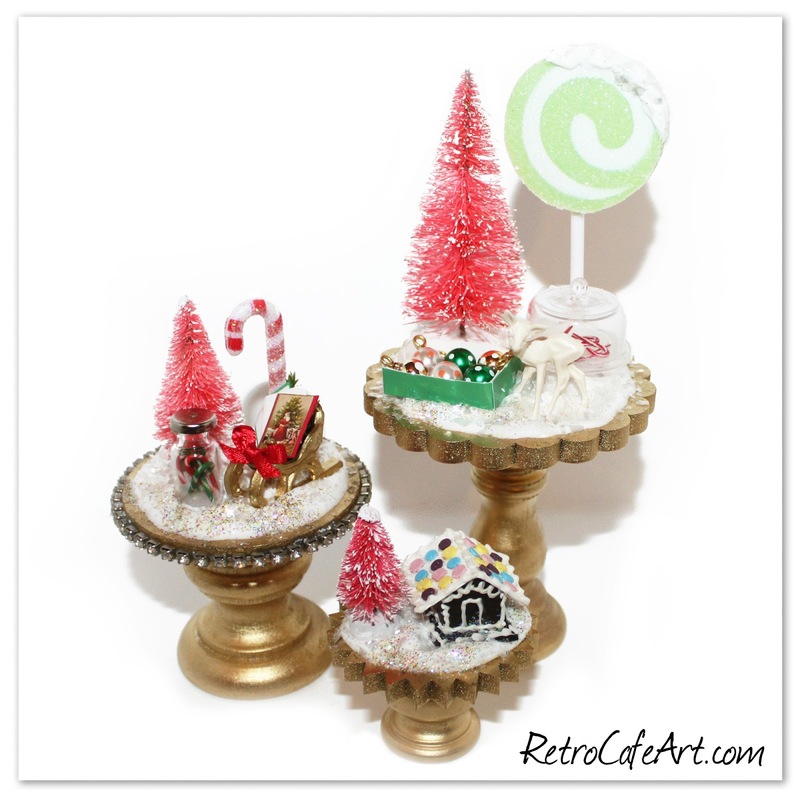 While they can be used for any theme, they are PERFECT for Christmas. 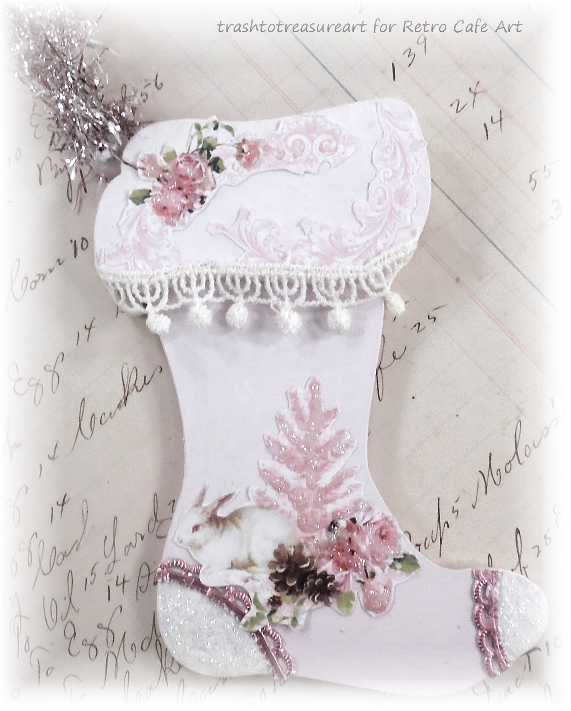 The kits (either finished or unfinished) would make excellent gifts! You can check them all out HERE. 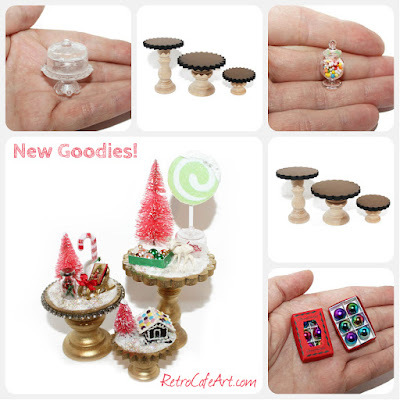 In addition to the new goodies, we have a HUGE general Christmas Section and a fabulous Coffee Break Design Christmas Section for tons of unique goodies! All Minis are ON SALE too! I couldn't wait to jump right in and play with the new goodies! These sweet little scenes were so much fun and easy to create. I made all three in about an hour. And there are a million different combinations you can create. I can't wait to see what you guys come up with. They are too much fun! 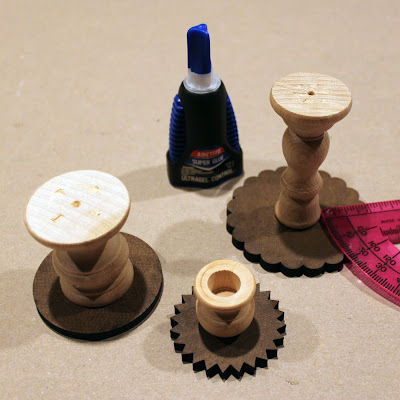 I began by gluing my stands to my bases. Of course doing this first was much easier! You can use a ruler to make sure they are centered. I eyeballed mine, but then went back to double check. Next I painted all three with gold spray paint. 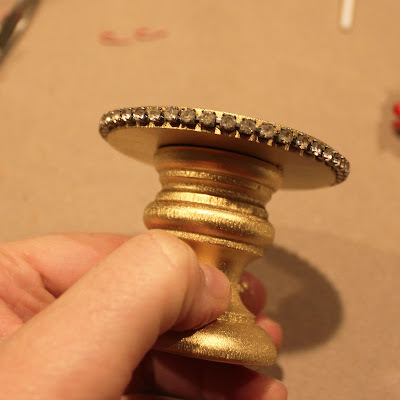 I added rhinestone trim to the Classic Pedestal. Dresden would work great too. 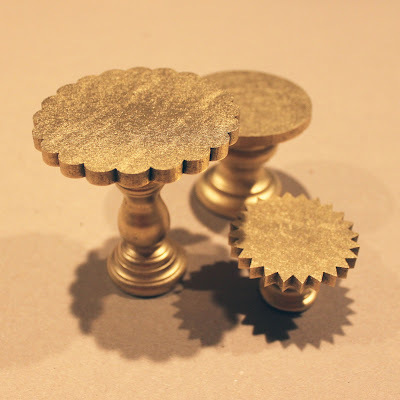 The Classic Pedestals were designed especially for this! Glitter Snow is one of my favorite mediums to work with. 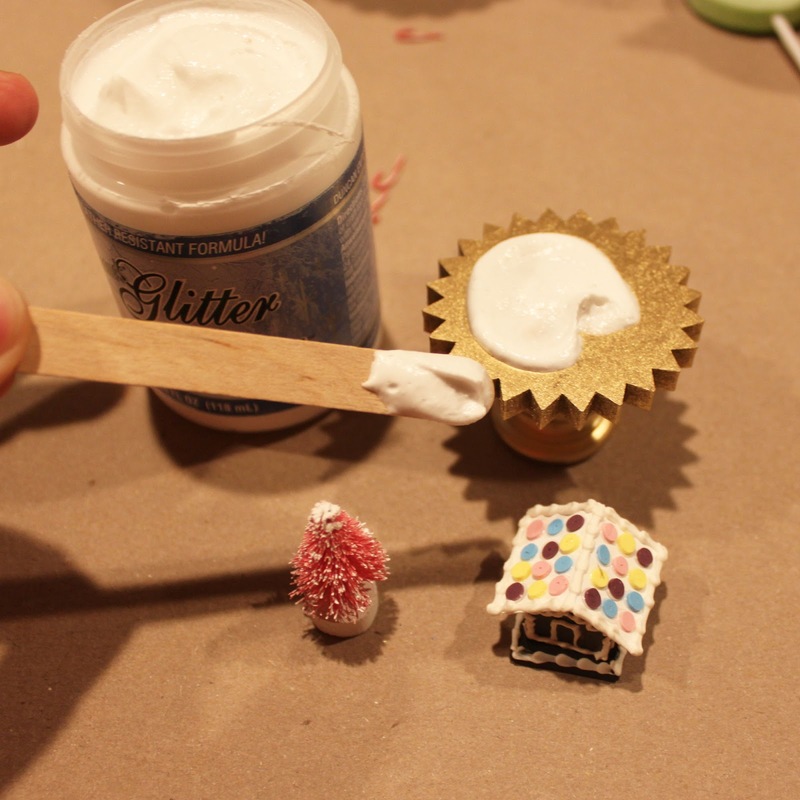 It goes on easy, like cake frosting, dries fast (to the touch in about an hour), and also works as a glue. I used a popsicle stick to spread the snow. Like I said, just like frosting a cake! 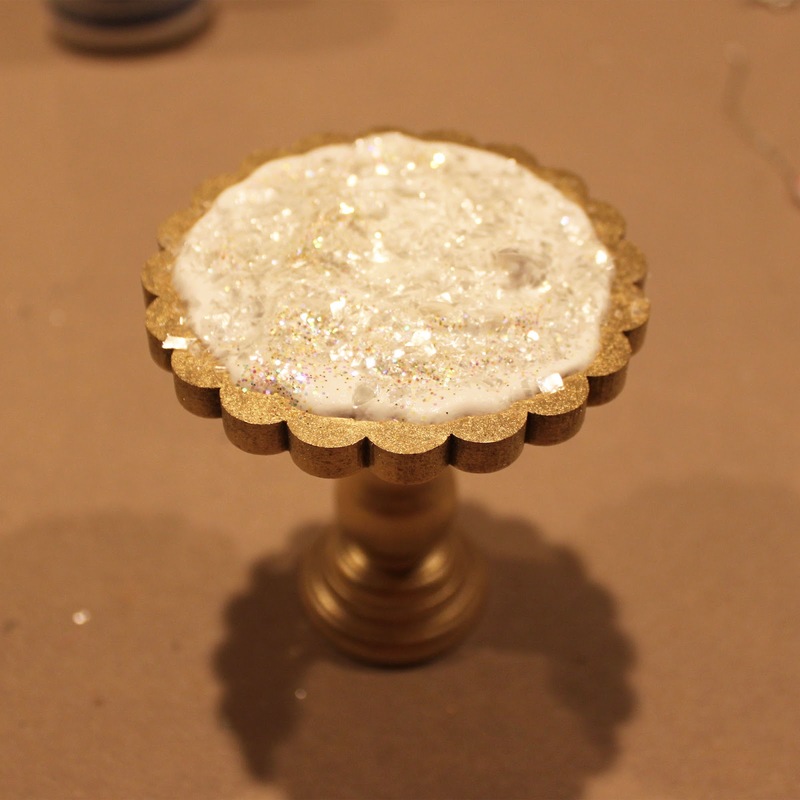 The Glitter Snow already has some glitter in it, but I like lots, so I immediately sprinkled it with Mica Flakes and more glitter. It will stick. And then I just pushed my pieces into the Snow. The Glitter Snow acts as a glue, and once dry, your pieces will be stuck! It doesn't get much easier than that! I loved the way things turned out. 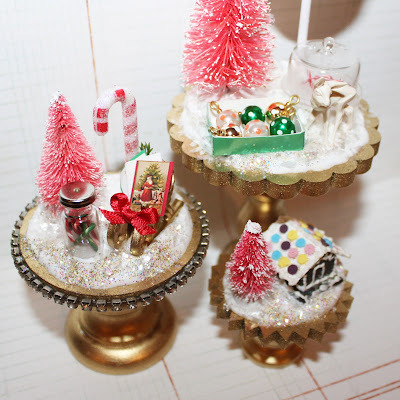 The little candy canes under the cake plate are my favorite part. And I loved how the pack of bottle brush trees had the three different sizes that I needed! Of course everything is even more glittery and sugary in person! 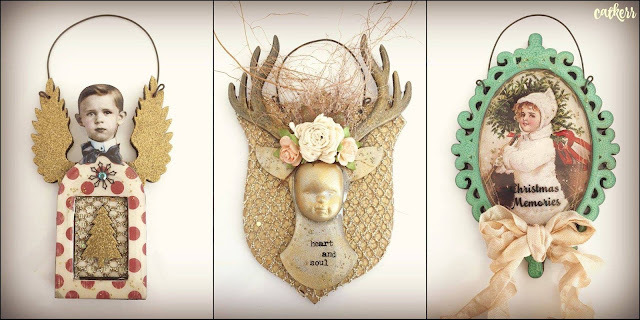 Inspiration By Lisa Roulier Wiktorek! We think this necklace by Lisa Roulier Wiktorek is absolutely groovy! 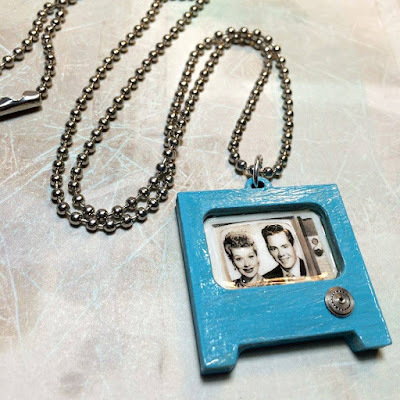 We're loving the color and image that she used. So cool Lisa! 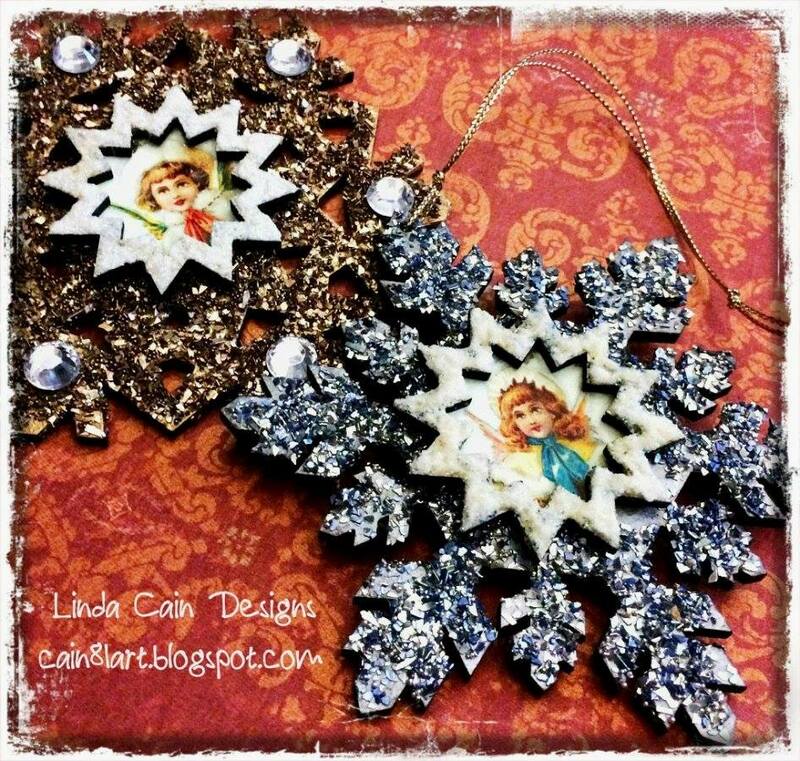 Sweet glittery snowflake ornaments by Design Team Member Lynn Stevens. 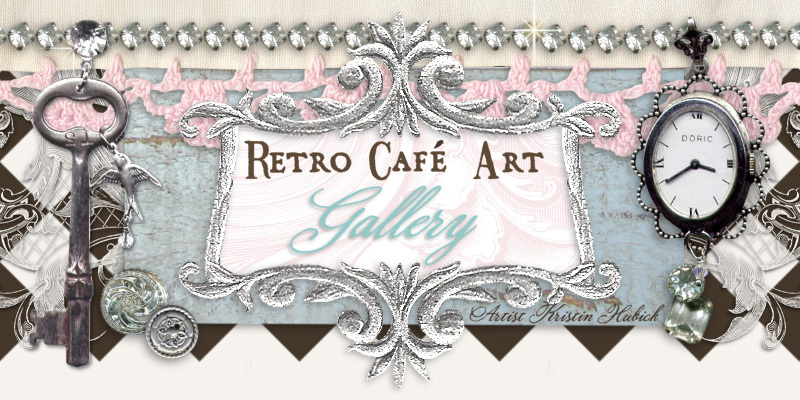 We adore the pretty images she used and of course the stunning rhinestone trim. So beautiful Lynn! 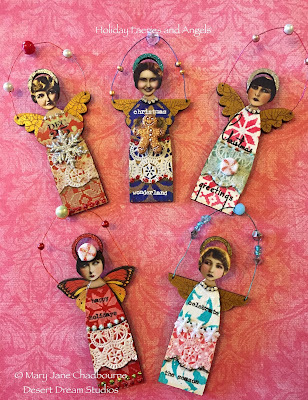 We love how artist Kim Heil combined our Wing Cut-Outs and Santos Head Paper Cuts to create these stunning ornaments! 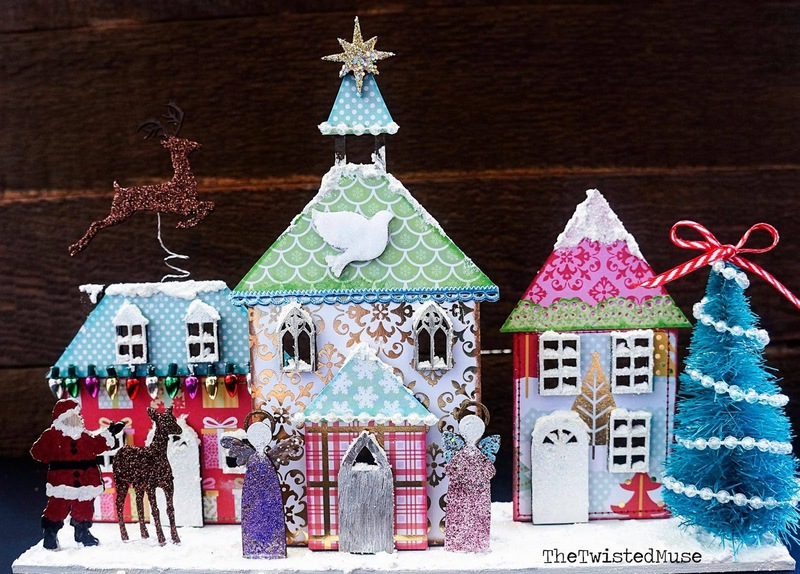 And the combination of paper and glitter on the larger pieces is so perfect. 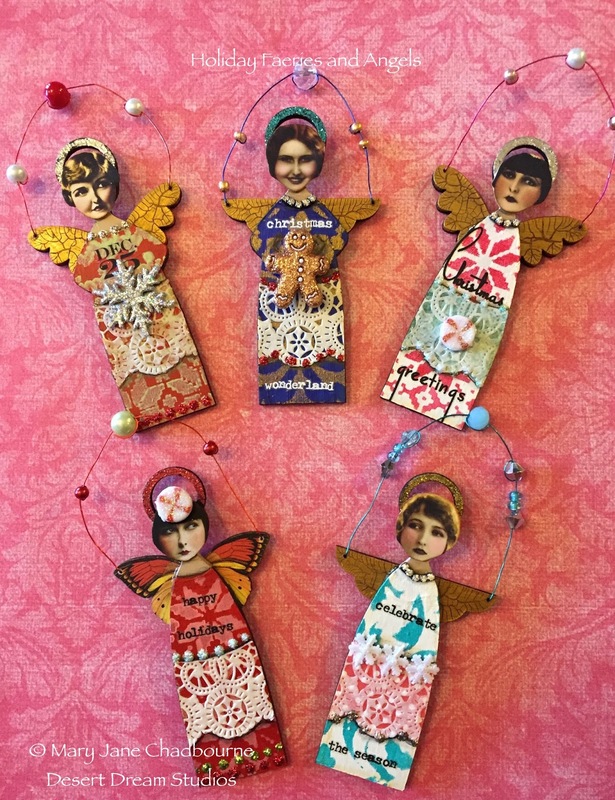 Lovely creations Kim! Happy Weekend everyone! If you love TINY and miniatures and they make you go "Awwwe" then you will LOVE the new goodies this week! 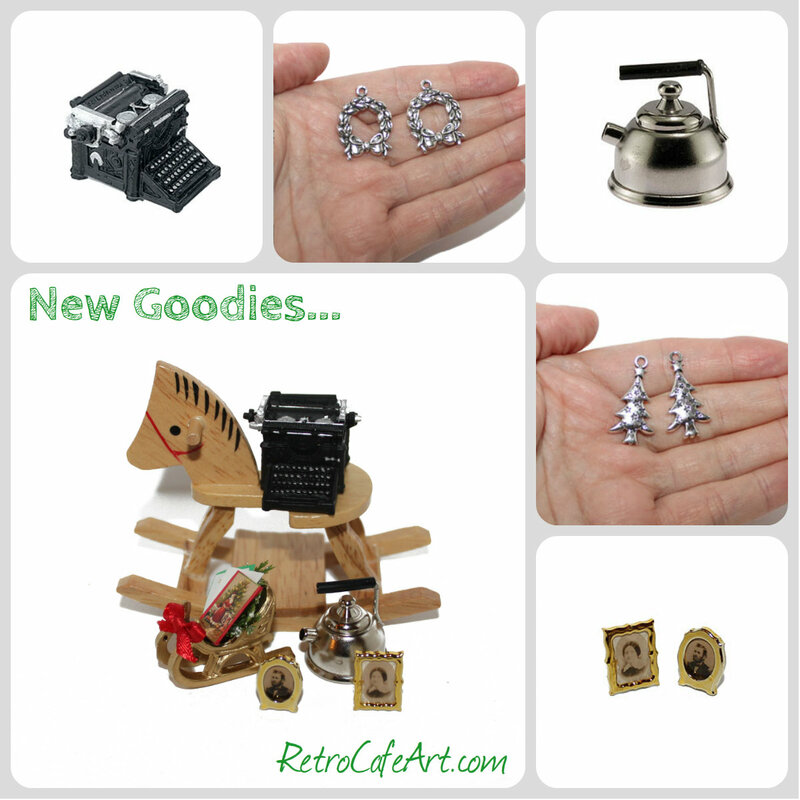 So many adorable minis that are especially perfect with our Shrine Kits, Dolls, Ornaments, and more! I'm especially loving that sweet metal teapot that actually pours! I just had to try it! The cuteness is almost too much! You'll have to see for yourself! 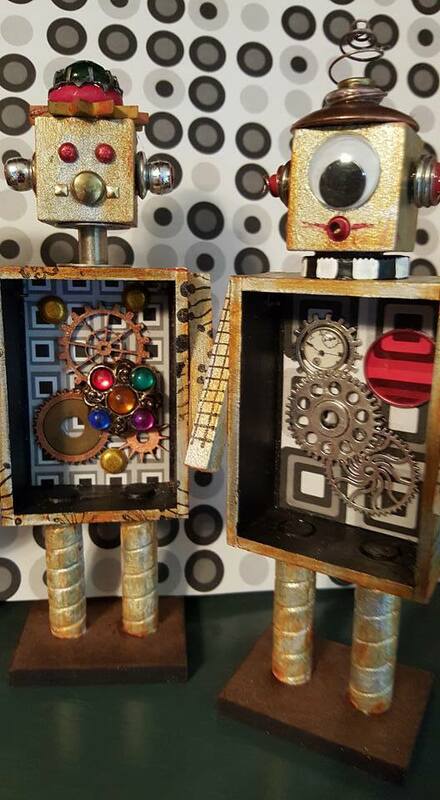 We're loving these fabulously funky robots by Jaci Swarts! These creative dudes are packed with personality. Awesome job Jaci! 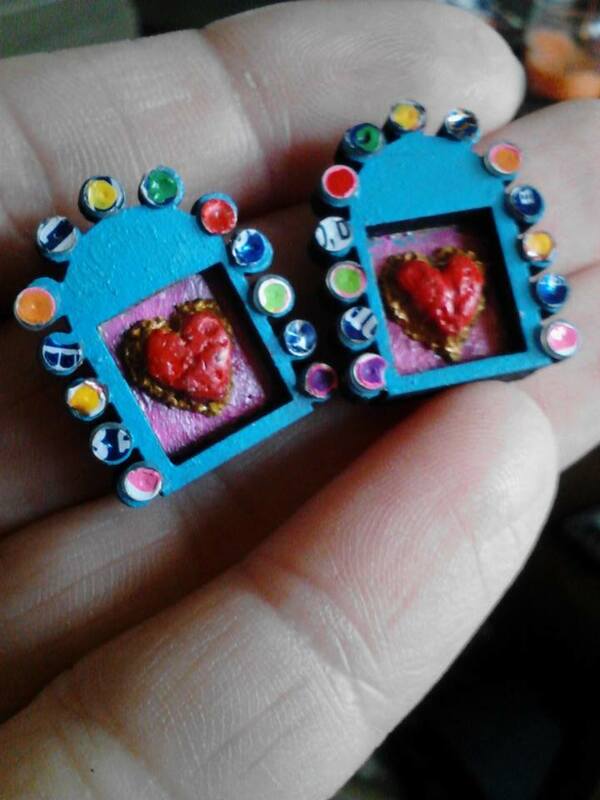 These little shrines by Sherry Matthews may be tiny, but they are packed full of love and talent! We're loving those happy colors. So beautiful Sherry! 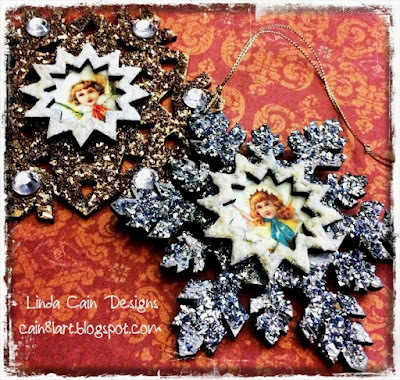 Breathtakingly beautiful ornaments by Design Team Member Cat Kerr! We're loving her soft color palettes and stunning textures. 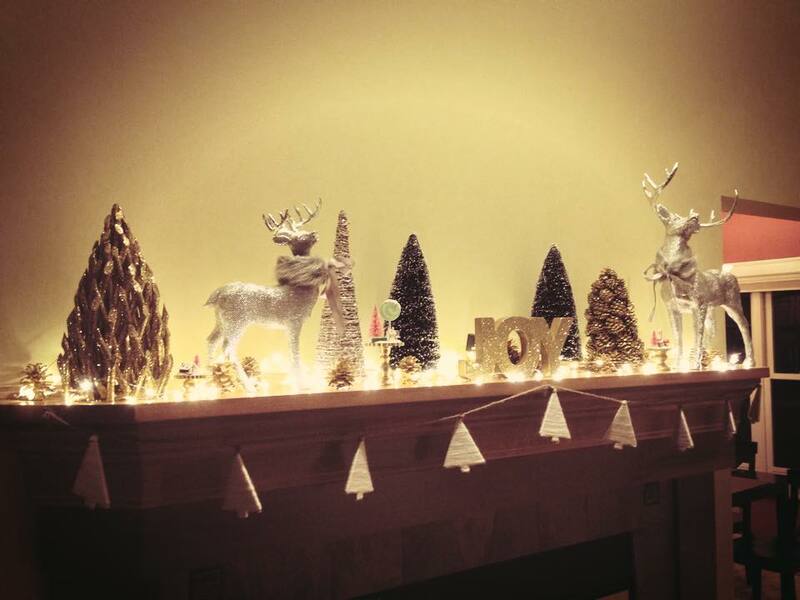 And oh deer, the middle ornament is amazing Cat! Find the step-outs for making these adorable Deer Mount ornaments HERE. And as Cat shows above, they look even more adorable with faces! I bet some of the new Relics and Artifacts faces would work great! Happy November everyone! Can you believe it's already here? 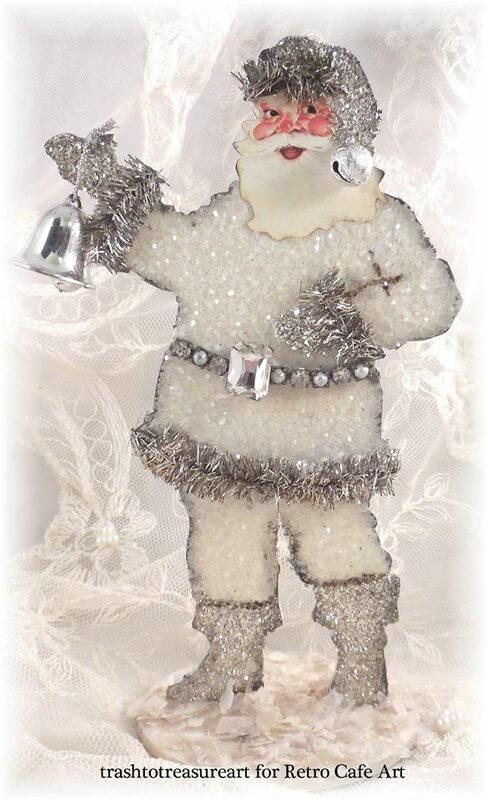 We're thinking about putting our Christmas decorations up this week. I know it's still early, but might as well enjoy them as long as we can right? 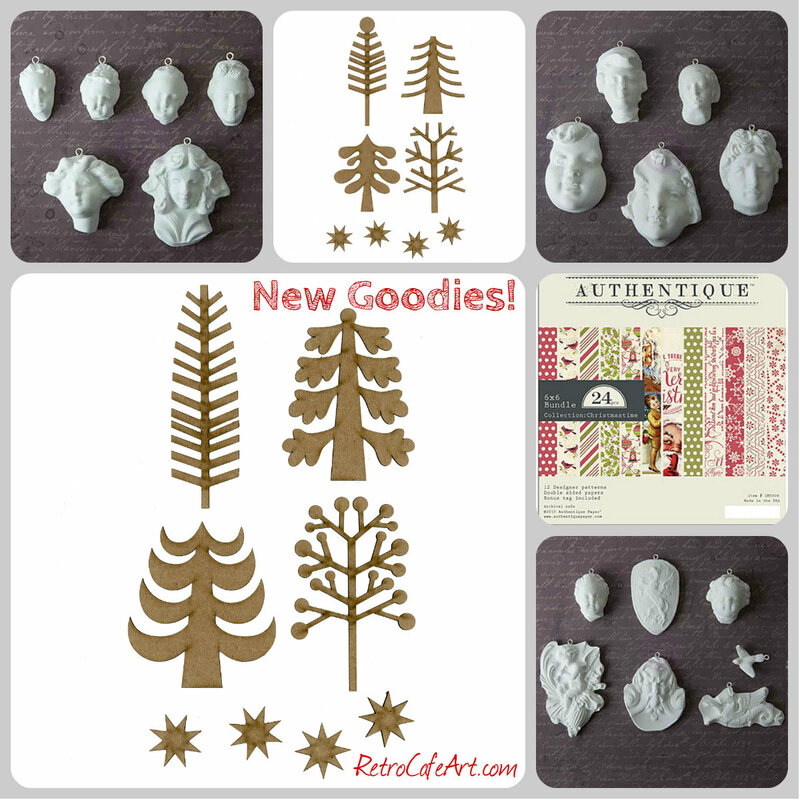 And with all the awesome new Christmas goodies in the shop, it's easy to be in the spirit! 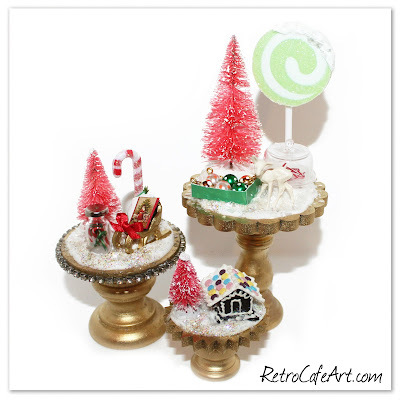 I'm especially loving those Funky Retro Christmas Trees, so I had to make them in a nice, larger size! I can't wait to play and see what you guys create! AND, we have EIGHT new sets of Sandra Everton's Relics & Artifacts! 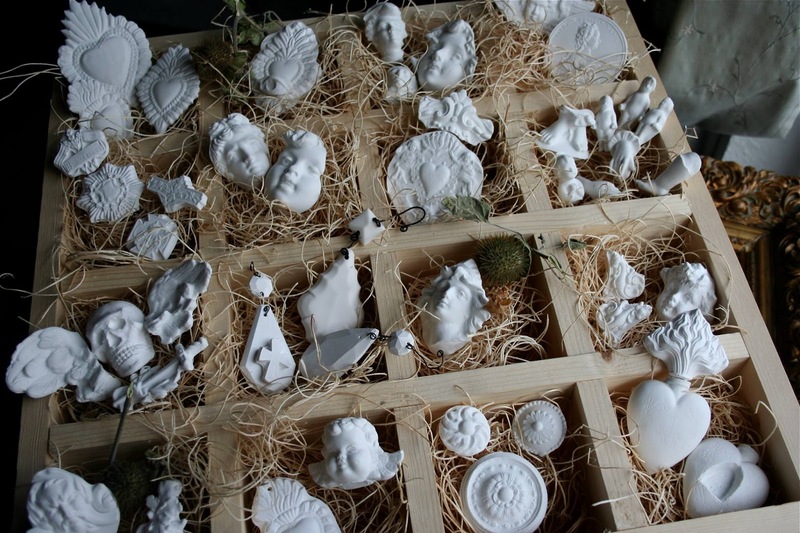 They are in stock and ready to ship (International too of course). I'm finding it so hard to pick a favorite! What about you? 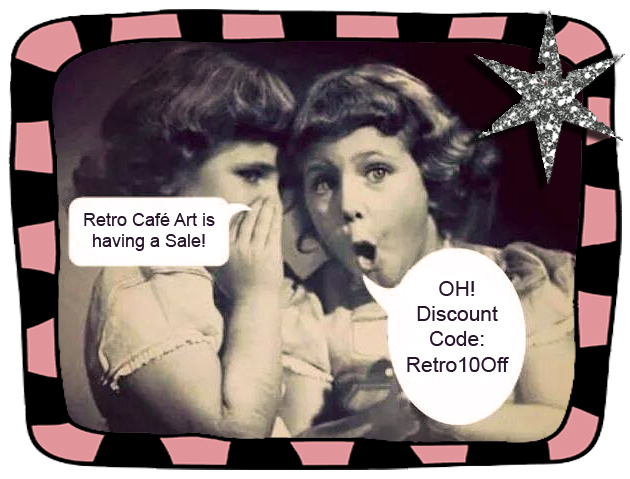 Find them all HERE (and they are ON SALE!). 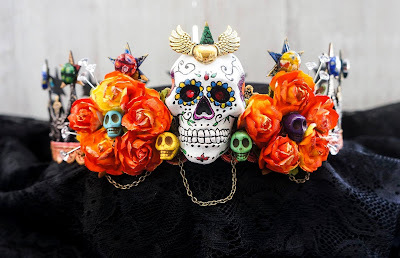 An amazing crown in honor of Dia De Los Muertos (and the NEW Relics & Artifacts) by Chrissy Colon! So many gorgeous colors in this fabulous piece. Outstanding job painting the skull Chrissy! Check out Chrissy's Blog post for more information! 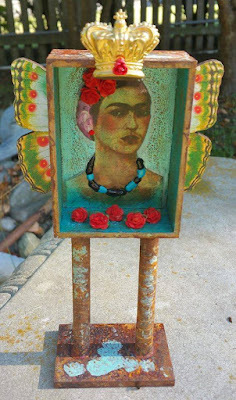 A super fantastic Frida Shrine by Tracy Delisle! We love the amazing colors and textures on this piece! 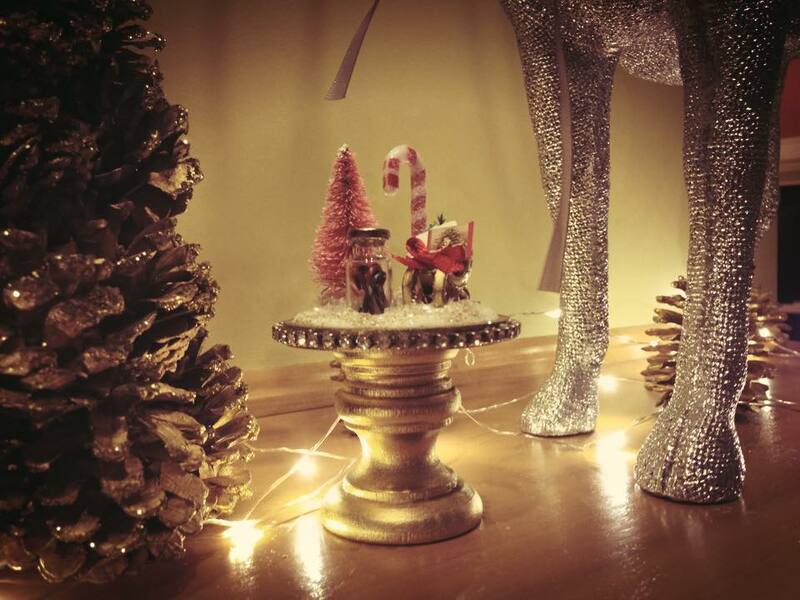 Beautifully done Tracy! 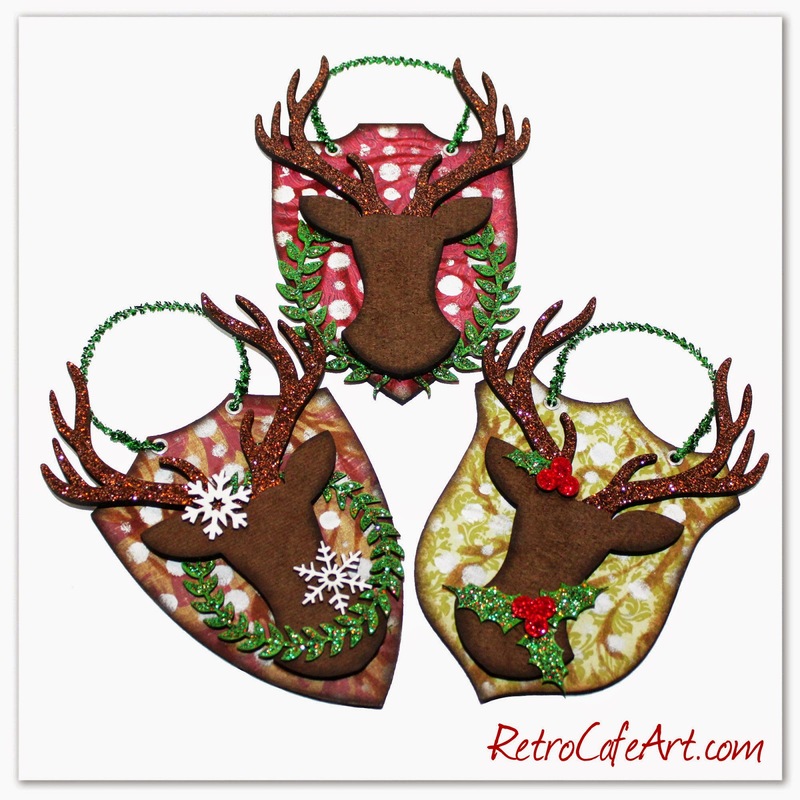 Handmade ornaments make excellent gifts! 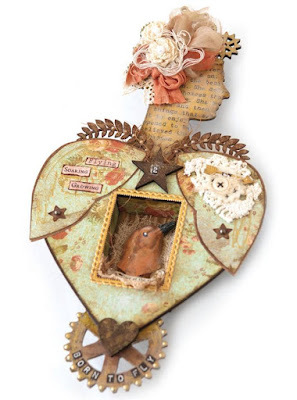 We are loving this shabby chic beauty by Design Team Member Lynn Stevens! The bits of Dresden trim and pom pom fringe are the perfect touches. So lovely Lynn!